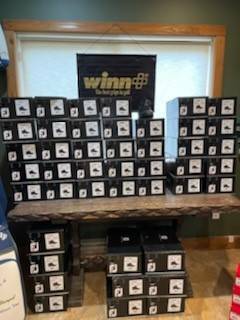 We are open daily from 8 AM with last tee off at 6 PM, weather depending... lots of new stock arriving in the golf shop! Drop in for a coffee and check it out !! Brigadoon is geared up to get you ready for the 2019 season! we have lots of sales on for April! Shoes, Clubs, Carts, E-Wheels, Balls, Clothing,etc. Some Items up to 40% off! Click here to see some of the items, much more in store! Brigadoon Golf Course is a 9 hole public course located in Parksville, BC. Built in 2008, Brigadoon is a well established mid-length layout, with a nice mix of par threes and fours. 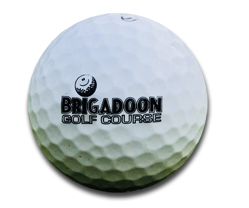 Brigadoon offers all golfers an affordable, challenging round, and our friendly and knowledgeable staff is ready to assist you. We are located just 1 minute from HWY 19A, 5-10 minutes from anywhere in Oceanside, 20 minutes from Nanaimo North and 45 minutes from Courtenay. Nestled between Resort Row and Parksville's award winning beachfront, Brigadoon allows for a convenient game of golf anytime. Teeing off is first come, first served. We look forward to seeing you here!